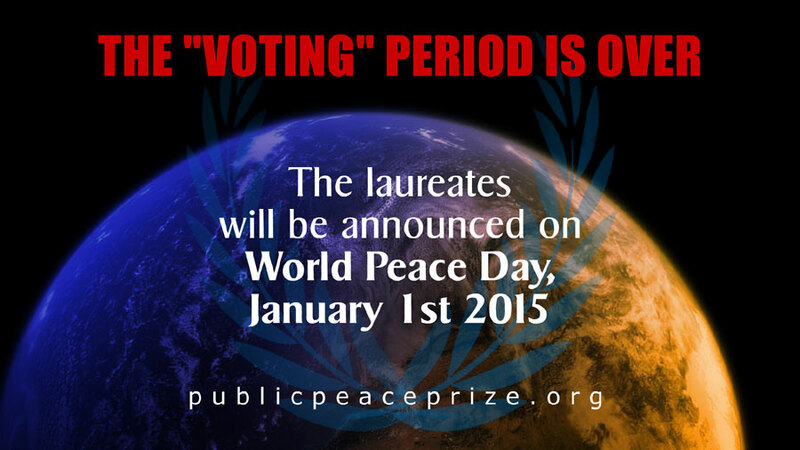 The 2015 Public Peace Prize voting period has come to a close! The 12 finalists for the 2015 Public Peace Prize have now all been presented and the voting period is over. The laureates will be announced on World Peace Day, January 1st, 2015. If you don’t want to miss the revelation of the winners, make sure you are signed up on this website (on the right column).